Beautifully maintained property in a beautiful environment! This property will not . . . Exceptional value for money, these two properties have been renovated to an extremely high . 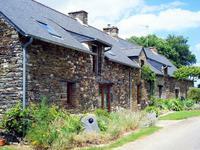 . .
Three independent cottages in one detached Longere - all tastefully renovated to a high . . . In a lively popular town, you can't get much more central - very stylish, large renovated home right in the middle of medieval Malestroit. Half-timbered on the outside and full of charm and elegance on the inside. Malestroit market, . . .
To the Manor born... gorgeous renovation of the house of the 'Gentleman Farmer' for the local manoir - with pool! 3 floors, 2 wings, pool, garden, great location convenient for medieval towns and cities – . . .
Detached wooden house in its own enclosed land. 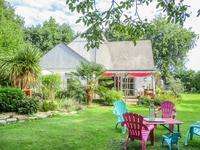 situated near to La Gacilly in the Southern Morbihan with an extremely attractive interior! This unusual property has no houses overlooking its land and a lovely south facing terrace . 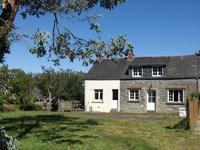 . .
Lovingly renovated stone longère with large barn and swimming pool - ideal for home or holiday or having an income. Sheltered behind the Manoir on a small lane sits this stone, semi-detached longère with a . . . Ideal property if looking to either re locate to France or wishing to buy a holiday home. The . . . UNDER OFFER at present -Close to Vannes – Bohal - Detached 3 bedroom cottage in a pretty enclosed garden, with garage. This lovely property is situated on the edge and a hamlet, just 1 km from the centre of the . . .
Nr Malestroit: authentic stone property in a beautiful setting – Fully refurbished – Stunning panoramic views – safe environment, perfect for pets. A warm and welcoming interior awaits you in this 2 bedroomed property, sitting in an elevated . . . Beautifully renovated stone property, 2 bedrooms, views of open countryside, just 35km from lovely sandy beaches. Renovated to a very high standard, this property boasts all the features the British buyer . . .
Large rural family home, originally two cottages, close to Ruffiac and Malestroit, within 1 hour of some beautiful sandy beaches. The two original attached cottages have now been made into one house and the downstairs . . .
Set in the centre of the village of Reminiac, this property offers a fantastic holiday home . . .